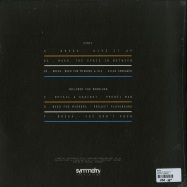 includes download card with these vinyl tracks plus three additional. 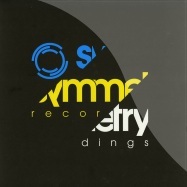 support from dj s – hype, goldie, randall, calyx & teebee, marky and many others. 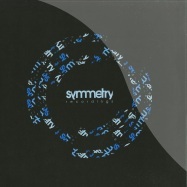 *** symmetry is excited to present the first debut e.p. from vocalist and producer kyo. writing and creating the songs in her studio, kyo then developed the ideas of the e.p. 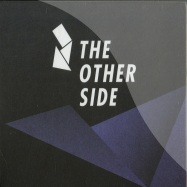 further by teaming up with some of her favourite producers, break, total science, mikal and onemind. 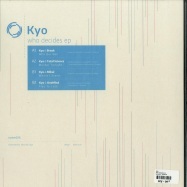 “who decides” is reminiscent of past break and kyo colab s such as “gave too much”, a soulful, punchy, uplifting and techy roller, weaved around a backdrop of floaty vocals and elevating pads. “murder tonight” with it s jungle backbone was the perfect choice for collaboration with total science. rare groove flavours and weighty bass, melded with cutting vocals and steppy old skool breaks, murder tonight has all the elements of a modern day jungle classic. “where i stand” brings jazzy liquid vibes to the e.p. 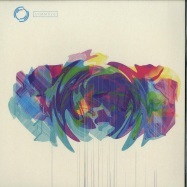 leading mikal down a recently untrodden path of musical dnb was a fruitful excursion. this journey into a bittersweet and rhythmic production has created a deep and brooding song. “play to lose” is one for the headzy listener, with it s long atmospheric intro, abruptly cutting into a heavy and deep groove. morphed and echoed vocals combined with unsettling stabs, cinematic effects and trademark onemind engineering techniques, takes you on a voyage from beginning to end. 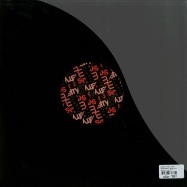 released on a full artwork 12” vinyl. celebrating 10 years of releasing quality drum & bass, symmetry is pleased to present a 12 track anniversary album. what started as commemorative compilation, soon turned into an album of all new material. 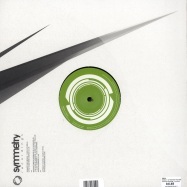 covering various angles of dnb flavours, the 12 track l.p. showcases the diverse but cohesive sounds that symmetry has been known for over these last 10 years. with collaborations from kyo, boston, total science, spectrasoul, mc fats and dlr with a handful of solo break productions the album exhibits some of the labels best releases, with an overall salute to the original sound of drum & bass. 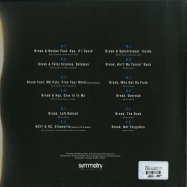 all 12 tracks are available as a 3 piece vinyl lp. vinyl customers will receive a digital download drop card with their purchase. support from djs such as: calyx & teebee, spectrasoul, friction, survival, ulterior motive, xtrah, dlr, marky, noisia, andy c and many others. includes dropcard that supplies full album in wav format. 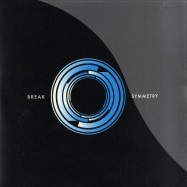 symmetry is proud to present the first taste from the new break album. 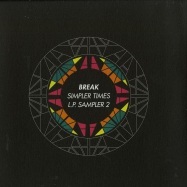 this 1st sampler single features the talents of singer / songwriter kyo with vocals on the the title album track *simpler times*. a smooth but edgy jungle roller, this a side works as a club, radio or home listening summer flavour. the flip side delivers a classic break neuro stepper with *top shooter*. with his trademark funky bongos and heavy bass this one has been road tested in clubs by break for many months and always delivers the goods on the floor. this exclusive b side will not be included on the full album. 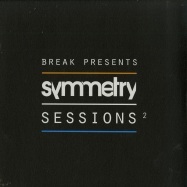 break presents symmetry sessions vol1, a collection of high quality tracks from some of the top names in the scene. one of only three people to ever remix a break track, the reigns have been effortlessly taken by calibre for a relick of *they re wrong*. being the man he is calibre has blessed symmetry with two versions of the remix so watch out for the alternate mix in the bonus tracks. 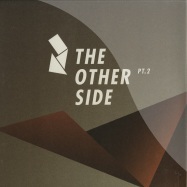 strong support from bailey, calyx and teebee, friction, spectrasoul, bryan g, and many more. break returns to his symmetry label in fine style for a beast of a track in the shape of *steam train*. never one to conform to a trend, his unique production absolutely slaughters the dancefloor with a tune that everyone has been wanting for many months. 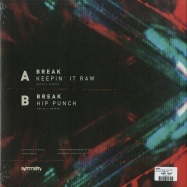 new guys detail offer a very different flavour on the flip, very chilled & slick production, proving break not only has an amazing palate for creativity, but can also spot a good tune when he hears one. 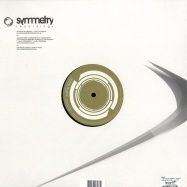 breaks symmetry never compromises on its output, and this stunning 12 inch further enhances this reputation. when love so true dropped last year, it made everyone situp and take notice, pretty much played by all the influential djs from hype, friction & andy c. well he returns with his own vip version which is again one to cause tasteful dancefloor devastation. 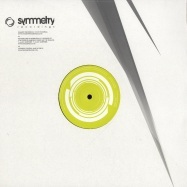 eastcolors debut on symmetry was also an impressive track on the label in 2012 watch out stands the test of time & is still regularly played. criticals enei decided to remix this killer cut & doesnt disappoint! having smashed dancefloors with ‘framework’, break returns with a different flavour & reminding people just how versatile he can be, while retaining the excellence he strives for every time. ”they’re wrong” is pure heaven, with it’s funky guitar licks and sublime pads, already touted as one of the tunes of 2012 with heavy rotation from dj marky & ltj bukem. once you hear the vocal, you’ll know the tune. in keeping with break’s idea to find the very best new skool talent, the flip side “cyrax” is a monster track by the much talked about xtrah! straight up gnarly bass tones, sick percussion and heavy beats fit perfectly on the symmetry label and completes another must-have single. 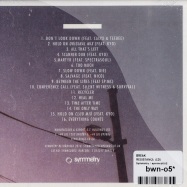 after the critically acclaimed release of >slow down vip<, break quickly returns with symmetrys 8th release. 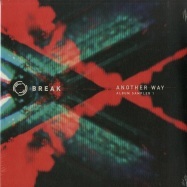 on the a-side, break leads the way, stripping it back with >something new<. 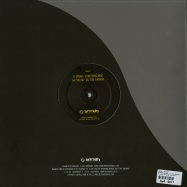 this track is a definite head-nodder that retains the classic break heavy -bass manipulation! 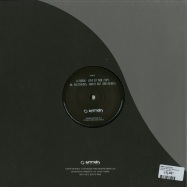 villem aka andrew wilson heads up the highly anticipated flip side with >do you wanna, i wanna<. also a key member to utopia music, villem has dj support from the likes of ltj bukem, doc scott, bailey, martyn and many more. he is a man of many talents and is also one half of production duo mute, who are often seen collaborating with rapidly rising bristol producer mako. this fantastic aa side completely captures the symmetry vibe with a quintessentially liquid piano and vocal combination moving into some untouchable percussion. with growing dj support across the board, villem is definitely a name to look out for this year. 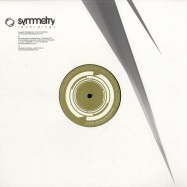 >symmetry< earned break an army of new fans beyond d&b and saw tracks picked up by the likes of techno legends laurent garnier and josh wink, while tunes such as >is this what you want< and >traits< have continued to remain staples in the sets of the d&b elite. 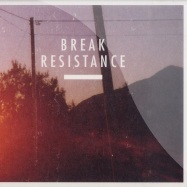 two years on and break is releasing his second long player, >resistance<. 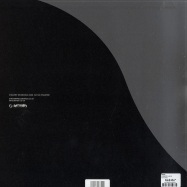 comes as 4 x 12 inch in gatefold cover, including whole album on cd. break returns to his own label. >last chance< original mix featured on his lp and now this remix finally touches down on vinyl. the flip side conatins >the clamp<, a tune that is ultimate rolling darkside pressure. 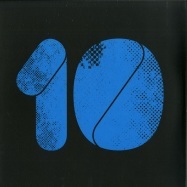 dj support from: klute, andy c, fabio, friction, hype, goldie, a sides, kasra, d-bridge, bailey, die. a: isis - drums and bass at its most distilled, this minimal but huge steppa is a rolling tool to mix with, and a smasher to cut to. delivers when it needs to. 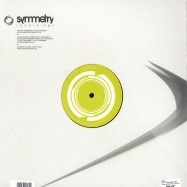 b: traits remix - a reworking of traits (only available on the symmetry l.p. vinyl) . traits remix keeps the stomping groove of the original, but with a more funky twisted bass line. crunchy tambourines and slick drum fills keep this head nodder rolling to the end. 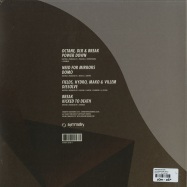 4 x 12inch vinyl in a gatefold sleeve.